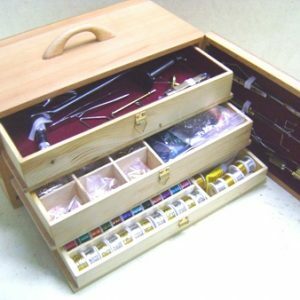 The Kit has been designed with a front door system and 3 drawers inside the beach wood box. 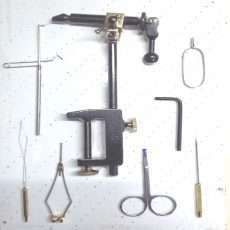 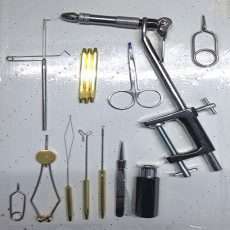 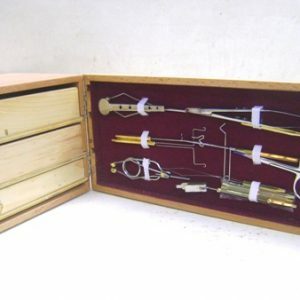 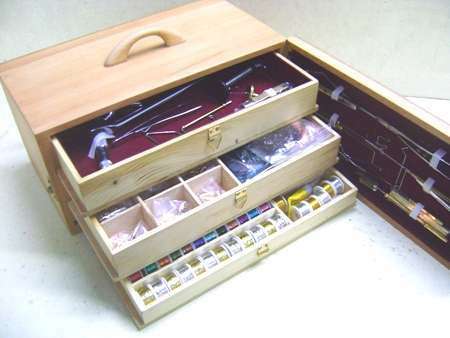 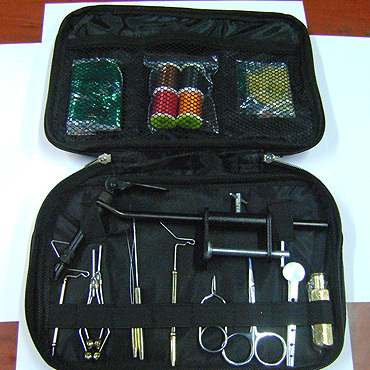 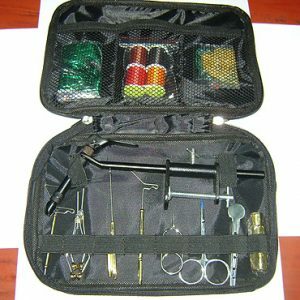 The Standard Fly Tying Kit is a very easy to carry tying kits packed in a Nylon Bag. 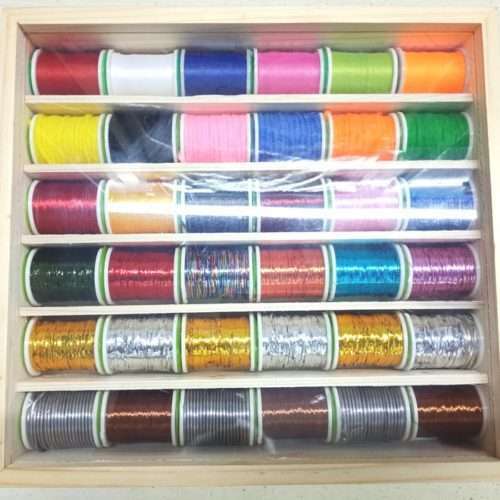 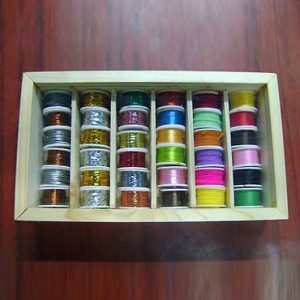 Wooden Spool Box (36) containing 6 spools of Fly Tying Thread , 6 spools of Wool, 6 Spools of Floss , 6 Spools of Coloured Tinsel , 6 Spools of Gold & Silver Tinsel, 3 Spools of Copper Wire, and 3 spools of Lead Wire.